William Morrow Paperbacks, 9780062403476, 448pp. 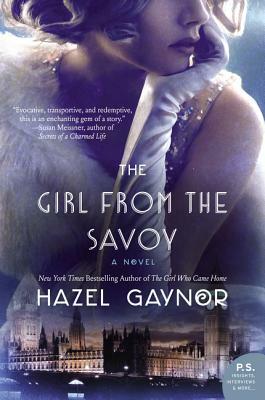 HAZEL GAYNOR is the New York Times and USA Today bestselling author of A Memory of Violets and The Girl Who Came Home, for which she received the 2015 RNA Historical Novel of the Year award. Her third novel, The Girl from the Savoy, was an Irish Times and Globe & Mail Canada bestseller, and was shortlisted for the BGE Irish Book Awards Popular Fiction Book of the Year. In 2017, she has published The Cottingley Secret and Last Christmas in Paris. Hazel was selected by US Library Journal as one of 'Ten Big Breakout Authors' for 2015 and her work has been translated into several languages. Hazel lives in Ireland with her husband and two children.